Update: We’ve added more details on precisely what changed in the latest count (Hint: there wasn’t anything new in the mail). 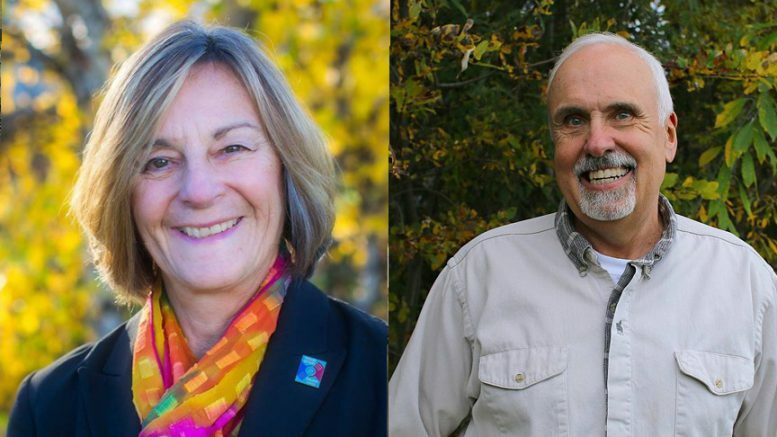 That’s the final vote tally in the race for Fairbanks’ House District 1 between Democrat Kathryn Dodge and Republican Bart LeBon after the last remaining ballots were counted today, according to sources familiar with the count. The tied vote sends the race to an automatic recount by the state. A state-funded recount had already been looking likely after last week’s count put LeBon up by five votes, well within the half-percent margin required for a candidate to request a recount on the state’s dime. If the tied vote remains, then state law requires races to be decided by lot, which has translated to a coin toss (that’s how Speaker Bryce Edgmon won office in 2006). Though much of the last few days have been spent prognosticating about the remaining ballots that could have been returned from overseas, it turns out that the change in the results reported today weren’t because of any late-arriving absentee ballots. The release of today’s results were postponed until 2 p.m. in order to wait for the day’s mail to arrive. Instead, it’s because a hand count was conducted of the ballots cast on either election day or through early voting. That hand count found one additional vote for LeBon (in the Aurora neighborhood precinct) and six additional votes for Dodge (four in Fairbanks No. 3, one in Fairbanks No. 7 and one through early voting). As it’s explained to us, these are votes that were missed in the initial machine count because the voter may not have fully filled in the circle with pen (pencil or check marks being a popular reason for the missed count). Later this week, the plan is to do a similar hand count for the absentee ballots, which have so far favored LeBon over Dodge (308 to 214). According to a copy of the results that was provided to us today, the state had so far received a grand total of 566 ballots in the race (44 more votes than the 522 votes cast for either LeBon or Dodge). That means there are potentially 44 improperly marked ballots that could still change the outcome of this race before the recount. Additional ballots could still show up before the recount. Though the deadline for in-country and overseas ballots has already passed, state law allows additional ballots to be accepted after the deadline. Republicans have already claimed leadership of the House, but did so with a 21-member majority that included LeBon. Speaker Edgmon, whose 22-member bipartisan coalition lost two on election day, warned against any premature celebrations when the Republicans announced their organization. His prudency appears to be merited. The recount has been scheduled for Friday, Nov. 30. 1 Comment on "It’s a tie! House District 1 race—and control of House—could be decided by coin flip." I find it bizarre, that we’re still talking about how to properly fill out the little circles properly. I mean most of us have been filling out those little circles in schools during statewide testing, since the 2nd grade. Why is it so difficult for people to figure out?